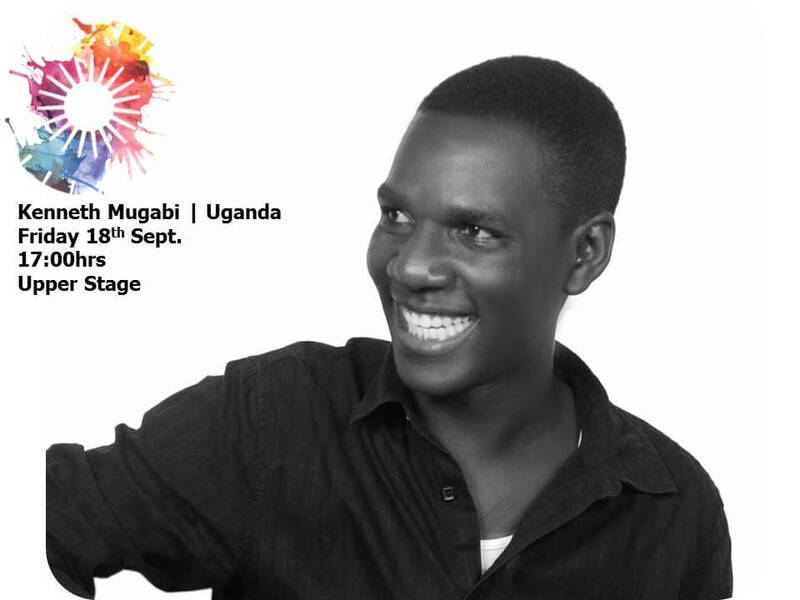 September (18th to 20th) sees the return of Kampala’s premier arts events, the annual Bayimba International Festival of the Arts for its eighth edition. And while the purists gripe about the appearance of the ear grating video-vixen-turned-singer, Sheebah Karungi on the hallowed Bayimba stage, there are a couple of options to ensure you are not part that crass lot that swears to the luscious singer’s “Ice Cream” anthem. 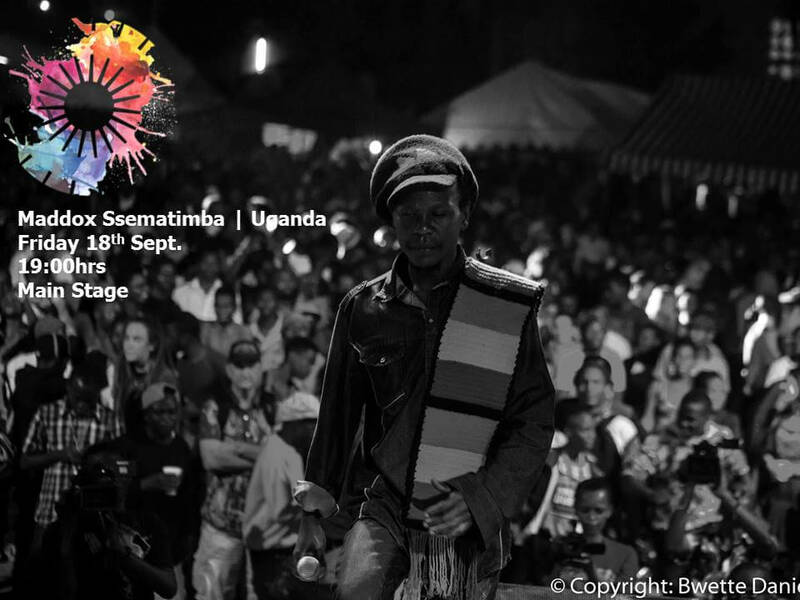 Uganda’s reggae icon closed the festival last year and returns to open the 2015 edition and enchant his syrupy hits that have become the soundtrack to most people’s lives. The dreadlocked star’s Namagembe could easily pass for a Shakespearean sonnet. If ever there was a neo-Kadongo Kamu star in the mould of Christopher Sebaduka (RIP), then Kenneth Mugabi is that artiste. A one-man act most of the time, he fuses deep lyrics with a signature voice and superb fondling of the fretboard enough to earn him a Mr. Romantic Guitar title. He should have been on the main stage instead of Levixone Lala. This entry was posted in Uncategorized on September 20, 2015 by kampala1ne. Gastronomy is an integral part of Bollywood culture and what better way for the Zee World channel to enchant than through a culinary Indian experience as an ice-breaker for discourse around its dynamic channel that’s been customized for mainstream audiences in Africa. Launched earlier this year by Zee Entertainment Enterprises Limited (ZEEL), a leading television, media and entertainment company, Zee World is now synonymous across the continent as a conduit for spicy hot Bollywood movies, series, reality and food shows. 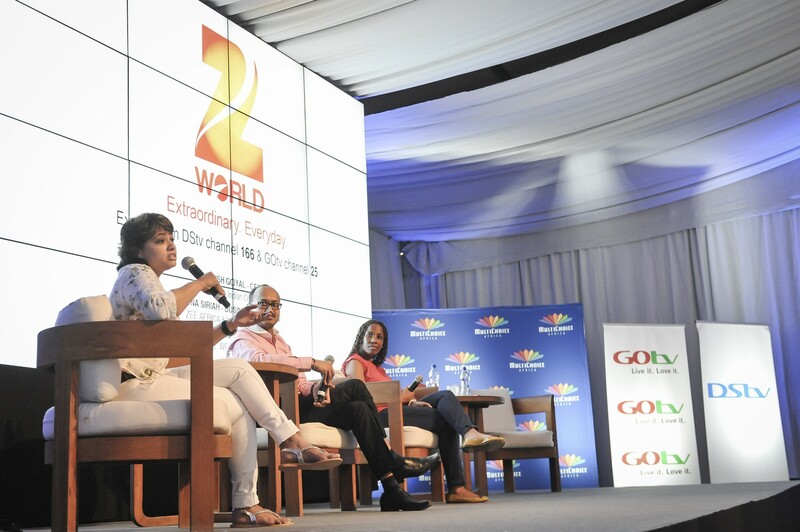 Zee World’s pedigree includes over 33 channels that entertain 960 million viewers across 169 countries. Feted as pioneers of television entertainment industry in India, ZEEL’s well-known international brands include Zee TV, &TV, Zee Cinema, Zing, Zee Punjabi, Zee Khana Khazana and Zee Living amongst others. ZEEL first foray into Africa was 18 years ago as the brands first international territory and its widely acclaimed flagship channel ZEE TV has been present on DStv platform since 1996 and Canal Plus since 2006. And to cement its presence on the continent further, ZEEL will launch another channel for its French audiences in Francophone Africa before end of this year with more channels scheduled for launch next year. All content on the channel has undergone extensive research and customization, including editing and dubbing. The content research is a continuous process for all upcoming shows in future on Zee World. In the meantime, the channel’s loyal audiences on DStv channel 166 and GOtv Plus channel 25 can enjoy award-winning shows like Saloni, Laali, The Promise and Destiny seasoned with a wide collection of star studded blockbuster Bollywood movies with other genres like food, reality, health shows and other world series coming soon. This entry was posted in Uncategorized on September 15, 2015 by kampala1ne. Even a misogamist like me does occasionally appreciate the effort that goes into putting together a wedding. Nuptials are a whole industry of their own complete with a job ecosystem comprising designers, florists, caterers, beauticians and the like. Which is precisely what DStv’s Lifetime channel 131 aims to do; demystify weddings beyond begging meetings by thrusting viewers right into the action. And who better to play wedding planner than the bevy of journalists that have been flown down to Mauritius for the Multichoice Africa Content Showcase. An activation for the channel’s hit format “Four Weddings” required journos to create the wedding of a lifetime with a chance of winning a luxury holiday for two. Four teams were charged with dressing up a male and female mannequin each (representing a bride and groom), garnish wedding cakes and decorate a bridal table fit ornate for enough nuptials on the beach. The inspiration for the challenge is exclusive local commission Four Weddings South Africa, the jewel in the tiara of Lifetime’s fantastic Friday night wedding-themed content this season. This will complement other wedding-themed shows like famous couples fighting to save their marriage in Marriage Boot Camp: Reality Stars (ends September 25, 8pm CAT); rivalry between two bridal shops in Best in Bridal (Fridays 9pm); an extraordinary wedding planner in Mikie Saves the Date (October 8pm); unions that include entire families in Arranged; and the return of the popular Married at First Sight in which complete strangers, matched by experts, meet for the first time on their wedding day. Viewers can expect fiery brides, complex relationships and a great deal of drama to keep Lifetime viewers glued to the screen every week. 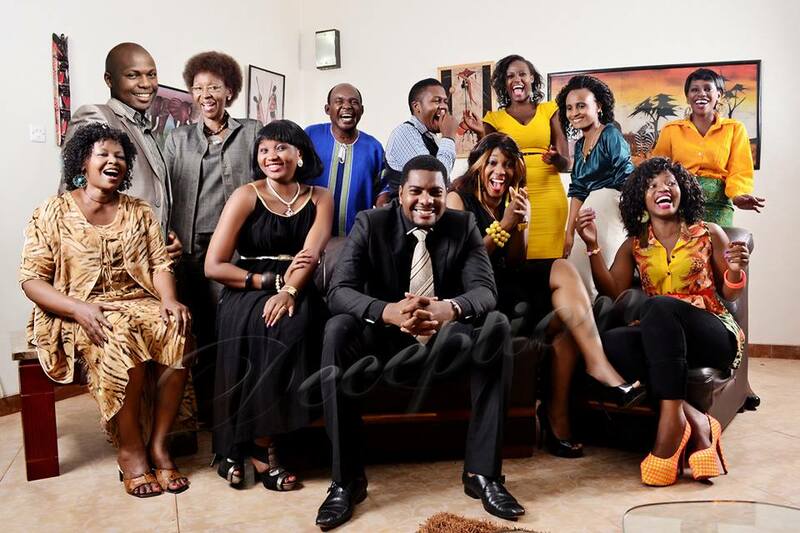 “Four Weddings SA” debuts on October 16th at 9.50pm CAT (10.50pm Ugandan time) and each episode follows four pushy wives-to-be as they attend each other’s special wedding day. At the end of the festivities, they must vote on which ceremony takes the cake, with the winning bride and groom whisked off to a dream honeymoon destination. From naked brides to biker brides, from Zulu brides to Tswana brides, from bitchy brides to chocolate box brides, this series is bound to entertain. Those with a palate for snotty (and often-times toffee-nosed) British culture can indulge in the now rebranded BBC Brit DStv Channel 120 that promises “intelligent but irreverent” programming that gladly steers clear of the Keeping Up Appearances mould. The channel will mostly piggyback off its predecessor BBC Entertainment staples like Top Gear with all new episodes airing first on BBC Brit. Complementing this acclaimed car-themed programming will be stuff on science, adventure, business, life-changing moments, extreme characters, quirky eccentrics and comedy all packaged as quick-witted entertainment, the preserve of DStv Premium, Compact Plus and Compact customers. Youngers; a fresh and exciting new comedy drama set in the UK urban music scene, Youngers follows the journey of two teenage boys, Yemi and Jay, in their quest to break into the music industry. (Airing Tuesdays 20:00 CAT) . Bad Robots; a brand new hidden camera show where technology is out to humiliate, aggravate and exasperate the unsuspecting public. From photo booths that distort your face for your passport photo, to a library search machine that announces you are searching for “pictures of horses in thongs”. No one is safe from Bad Robots. From Monday 7 September at 21:30 CAT. Royal Marines Commando School; a series that takes a look behind the scenes of one of the most arduous basic military training programmes in the world. 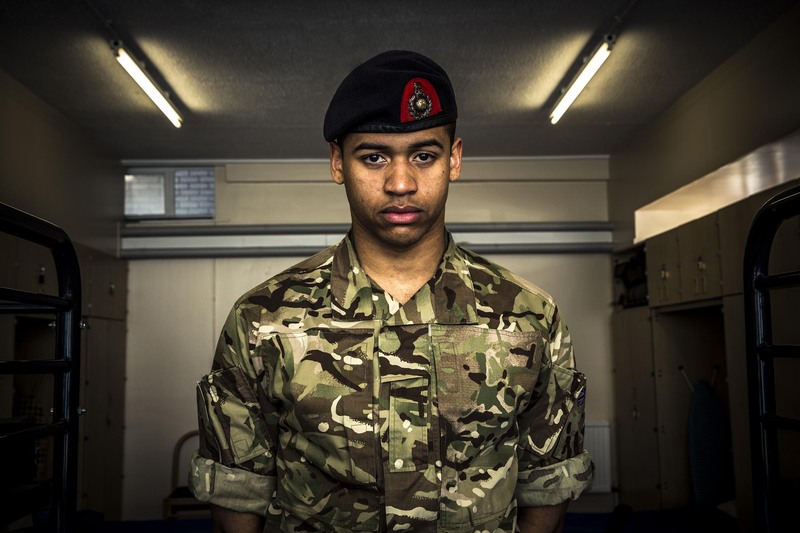 Like rabbits in headlights, the recruits struggle to cope with the gruelling demands of their new way of life, toiling tirelessly to master the details, stay awake and even suppress giggles in the face of their drill instructors’ wrath. Some question their decision to join up, while others have their career as a Marine cut short when it’s barely begun. From 7 September at 20:00 CAT. Duck Quacks Don’t Echo; here, comedian Lee Mack presents a brand new panel show that explores bizarre and fascinating facts. Each week, three celebrity guests will offer an incredible fact for discussion and with some expert help they’ll attempt to prove to their fellow panellists – and the nation – that it’s true. From Friday 4 September at 21:00 CAT. This entry was posted in Uncategorized on September 14, 2015 by kampala1ne. My fondest baking memories were looking forward to licking the baking bowl, what with that savoury sweet dough. This, despite spankings from my long-suffering mum whose warnings about a possible tummy upset from eating “raw cake” fell on deaf ears. I never got down to the “effeminate” indulgence that is baking seeing as it is that my generation’s males were persona non grata in the kitchen. However, the treats BBC Lifestyle (DStv channel is dishing up soon may have me changing my mind if anything to preoccupy me as I navigate a nagging midlife crisis. One of the highlights at the Multichoice Africa Content Showcase in Mauritius this month was a mock bake-off in the Great British Bake Off mould. And while my team’s culinary skills were nothing to write home about, those of you at home may just as well tickle your master chef fancy beyond having the TV as an idiot box. The Great Bake Off aims to find and crown the best amateur baker and has so far been licenced to format to 20 countries around the world including France, Germany, Turkey, Australia and Italy. The original UK version is now in its sixth season and drew its highest ever ratings last year with more than 13 million viewers tuning in for the final episode. The recent return of the show to UK screens attracted 9.3 million viewers during the opening episode – more than two million up on last year’s. 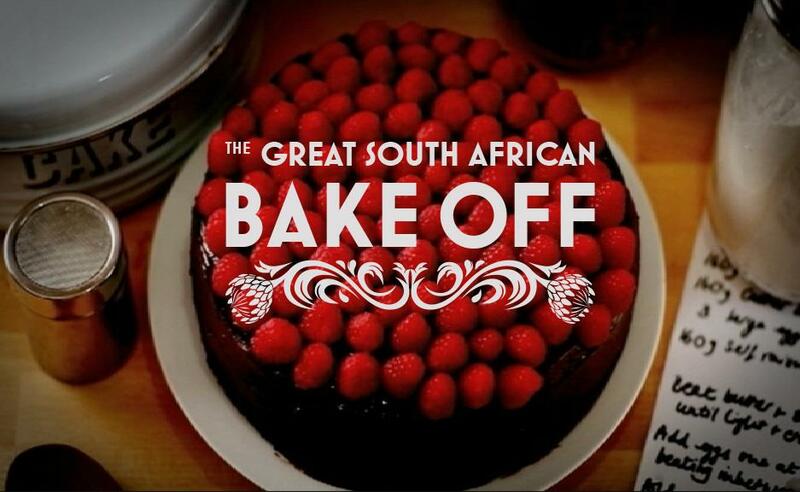 Our continent’s spin-off will be The Great South African Bake Off, a 12-episodic hour-long oven treat that starts Tuesday October 6th October at 20:00 CAT (9pm Ugandan time) and who know, the Ugandan spin-off may have our own cake lady and Kampala City boss Jennifer Musisi. Zimbabweans seem to have found solace in humour as a salve to their economic and political hardships if the Zambezi News parody presentation at the Multichoice Afica Content Showcase in Mauritius is anything to go by. A comic trio flexed funny bones with biting satire delivered by the way of a newscast complete with video cutaways on Friday night. They and Ugandan potty humour comic Salvador were the highlight of the duo Maisha Magic and Zambezi Magic showcase. 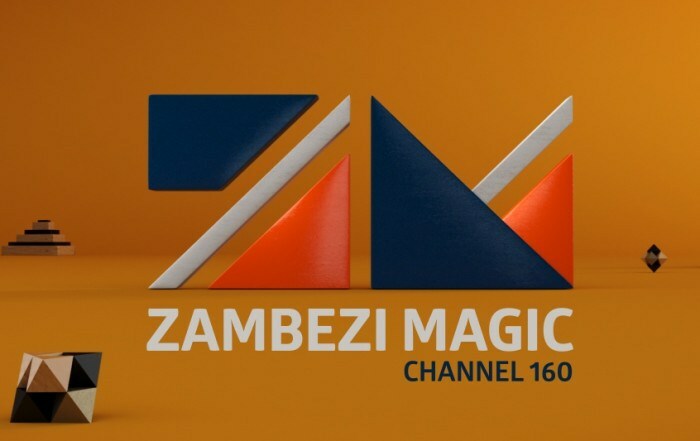 The Zambezi News parody show is one of the staples on the newly launched Zambezi Magic channel that sadly geo-blocked to East African viewers and available to eight Southern African countries. The channel will also pipe shows like Generations, Isidingo and Our Perfect Wedding alongside exciting shows like the ever-popular Tonight With Zororo. The channel will also aim to offer an opportunity for the best filmmakers on the continent to showcase their talents, as well as promising more African music and locally-produced comedy content. Maisha Magic East Channel Head Margaret Mathore promised that the channel which morphed from the upper-palate Maisha Magic channel that closed in March 2015 to include Swahili and other East African languages will continue to deliver on its signature promise of comedy, comedy and more comedy as attested to by Uganda’s biggest comic export, Salvador. Follow the MultiChoice Africa Content Showcase via @multichoice_africa on Instagram, @mcashowcaseon Twitter, or via #OnlyTheBest. This entry was posted in Uncategorized on September 5, 2015 by kampala1ne. Ugandan DStv subscribers will have to wait a little longer for their own Maisha Magic channel even as Tanzania celebrates the launch of Maisha Magic Bongo starting October 1st, 2015. The creation of the Tanzania-centric channel is in light of M-Net’s vision to create channels for each homogenous target market for Southern and Eastern Africa by language, culture, taste or a combination thereof. “We are proud to announce the launch of a new channel exclusively for Tanzania on October 1st called Maisha Magic Bongo (DStv Channel 160),” M-Net Director: East and Southern Africa & Lusophone countries, Theo Erasmus revealed at the MultiChoice Content Showcase on Saturday morning at the Outrigger Mauritius Beach Resort. He also announced a new Angolan Premium channel Jango Luxo, launching October 11 alongside the production of a local version of the international smash hit reality show, The Voice, there. Zambia and Zimbabwe, riding on the two-month old Zambezi Magic channel that is sadly not available in East Africa also received promises of more local content in the near future. Uganda can only hold out hope in Maisha Magic (East) Channel Head, Margaret Mathore’s revelation about expansion plans for the East African powerhouse channel. “We have every intention to go hyper-local with Maisha Magic and plan to start channels for each market in East Africa,” she said. Still, only Tanzania will benefit for now with the premiere of exciting local content, like hip-hop and Bongo music show Mzooka, a powerful local drama series called Talaaka and celebrity cooking show, Jikoni na Marion. She, however, affirmed that MME will licence content grown on East African soil beyond re-boradcasting derivative content from the region’s free-to-air channels in order to address the entertainment needs of Ugandan and East African viewers and develop the region’s film industry. Maisha Magic and Maisha Magic Bongo will also be available to all DStv subscribers in Africa excluding South Africa in order to expose the continent to top-quality East African content. The MultiChoice Africa Content Showcase is a dynamic five-day content extravaganza, which sees a host of DStv’s biggest channels, including Sony, SuperSport, Zee World, A+E, Disney, MTV Base, BET, Comedy Central, BBC and M-Net previewing their latest and greatest content, soon to be seen across the video entertainment services provider’s platforms. You can follow the event via @multichoice_africa on Instagram, @mcashowcase on Twitter, or via #OnlyTheBest.